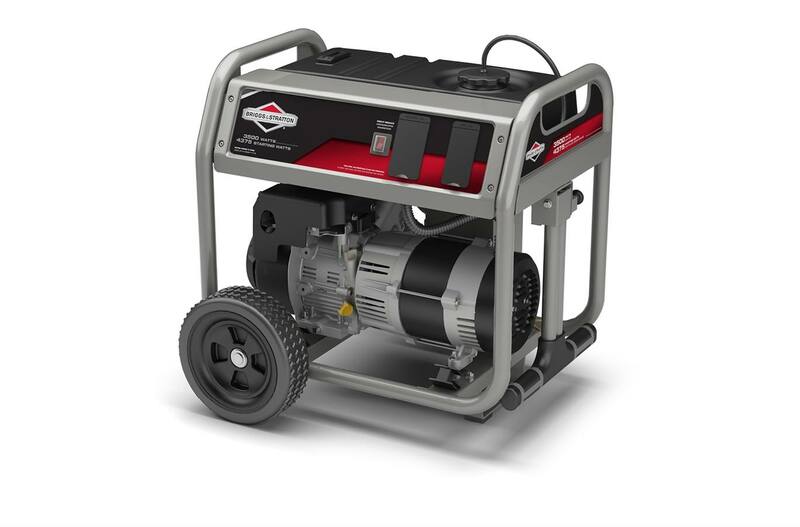 Briggs & Stratton Engine: For long life, high performance, and great fuel efficiency when using your portable generator. Multi-Featured Control Panel: 2 - 120V Household Outlets 1 - 120/240V, 20A Locking Outlet Rubber Outlet Covers. 4 Gallon Metal Fuel Tank: Provides up to 8 hour run time @ 50% load. Power Surge™ Alternator for Generators: This portable generator alternator produces over 25% more surge wattage to start large motor-driven appliances and tools simultaneously. 8" Never Go Flat Wheels: For easy mobility.